Andreica is a total hot-head and is filled with the burning pride that comes from a warriors upbringing. Thankfully for him (I think) he has people as laid back and ridiculous as Skylar and Sheko to call his best friends. When he isn't struggling to speak English, he's praising the men of his motherland for their manliness. "Where I comez fromz, the menz, they do not cooks or hold hands!" 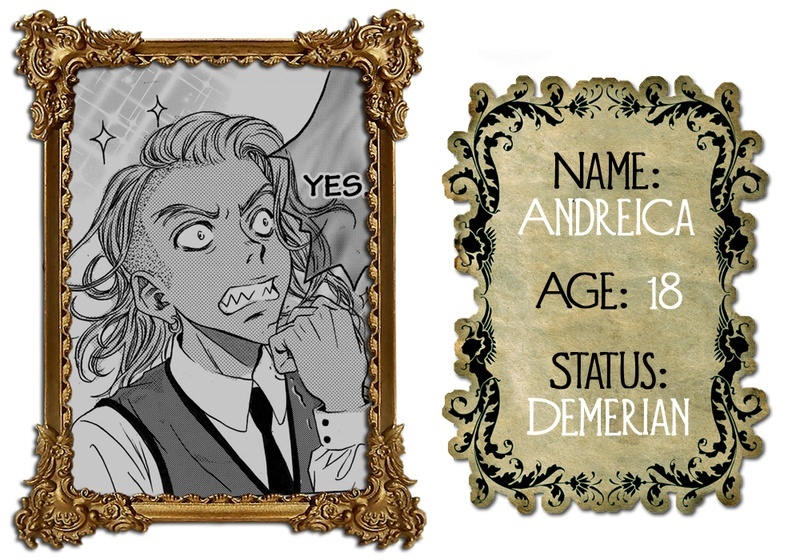 (stares at Cecero and Sheko).I think that Cecero and Sheko's super close friendship may disturb him at times LOL Andreica is also one of the hundreds of citizens in Grandome known as Demerians.